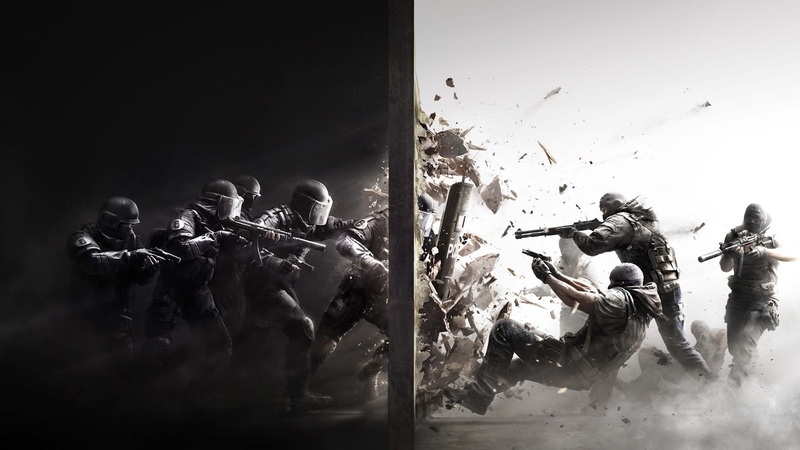 I finally got around to checking out the Rainbow Six Siege Beta. I've had access since earlier this week but today was the first day I got to sit down and play it for awhile. The main mode of the game feels a lot like Counter-Strike. It's a 5v5 setup with terrorists and counter-terrorists. The defenders are trying to protect an objective while the attackers are trying to find it and disarm it or gain control of it. That being said, the pacing is slower than CS and the environmental interaction is cooler. You don't move as fast in this game and that leads to movement throughout the environment that is more thoughtful. But the most fun part is the interaction with the environment. As a defender you can construct barricades and re-enforce walls/floor/ceiling. As the attacker you can use weapons or breach charges to blow open walls, doors, windows, floors, ceilings, really almost anything you can see. It makes for some dynamic gameplay moments. In the end I was more frustrated with the matchmaking than anything else. It seemed to keep glitching out on me or making me wait for 5-10 minutes at a time before I could get into a game (which would only last a few minutes). Hopefully that can be chalked up to being in beta and not to having bad matchmaking. That's one of those things where you'll just have to wait for the full release and see. The other mode available was terrorist hunt, where you and a team of attackers have to breach a building and get rid of all the AI defenders. I liked this co-op mode more than the competitive mode, but I tend to like co-op in general. At this point I don't see myself buying this game for full retail price. It doesn't do enough new to make it worth the purchase for me. Maybe when it falls down to the less than $15 range I'll eventually get it. In a way, I'm glad I got into the beta to experience the game because now I know I can write it off until it's on super sale.